Hotel QUO VADIS recently renovated in a more modern and welcoming way? is located in the "heart" of Rimini just 800 meters from the sea and a few km from the historic center. Reachable from any area of ​​Rimini, the hotel has for years the ability to welcome professionals, business man and families looking for convenient and convenient solutions. 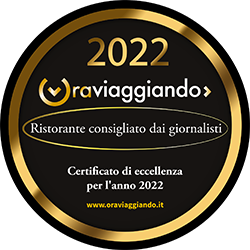 The large private parking with night surveillance and the restaurant inside the hotel complete the picture of a hotel in Rimini that is hospitable and suitable for everyone. The Hotel "Quo vadis" also offers a large meeting room for business meetings, conferences, business meetings and is equipped with TV, VCR, video projector, whiteboard and air conditioning to ensure maximum comfort even at times when required. maximum professionalism. The rooms are comfortable and equipped with bathroom, TV, air conditioning, telephone and hairdryer; Each of the rooms in the 3-star Hotel has been furnished to provide guests with the comforts that allow them to feel at home. The staff is discreet and polite, competent and prepared to satisfy any request. Hotel Quo Vadis wants to offer its customers the perfect balance between comfort and serenity to spend relaxing and carefree days.